If this was a winter storm, the northern edge of the precipitation would be the low confidence zone. I realize that starting off with that you might also be asking yourself how much snow this would be too. I won’t go there… now. The focus here is on the rainfall and potential flooding. 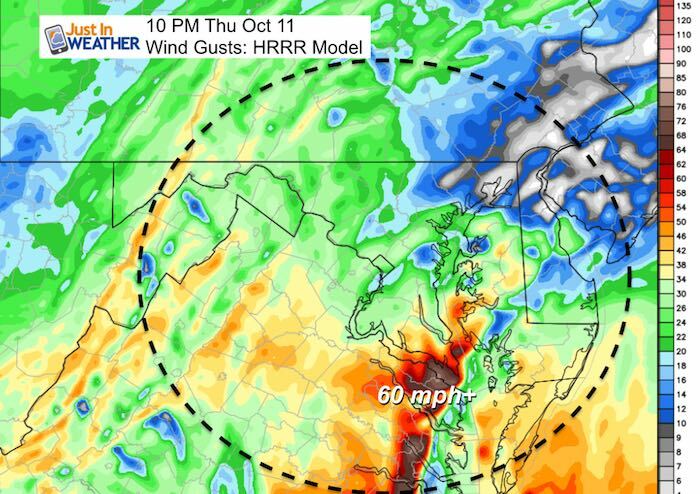 A Flash Flood Watch is in effect up to I-95 in northern Maryland. This is among numerous other advisories for our area cluttering the map. Here is a quick look. If you live on the north edge in Cecil, Harford, or Baltimore Counties in Maryland, you will get rain. The question is whether the heaviest of the rain will sit over your area or just south. This will be interesting…. 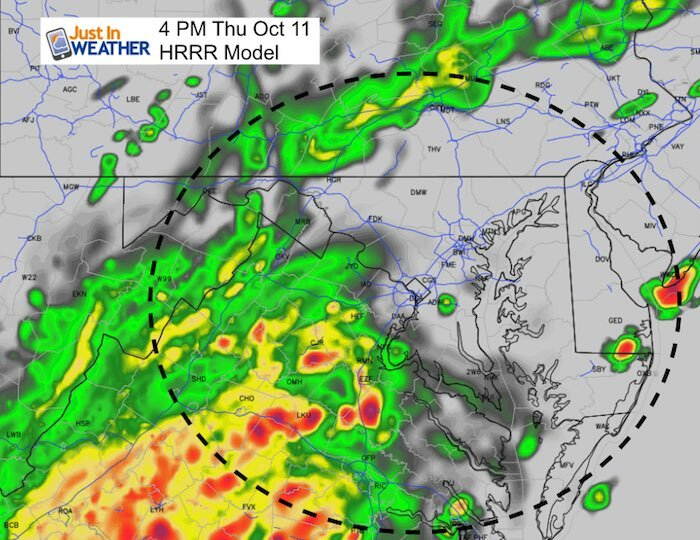 The latest HRRR Model has shifted the rain south, but enhanced the heavy rain across southern Maryland. That is due to the progress of the same cold front that will brings most of us into the 50s tomorrow afternoon. 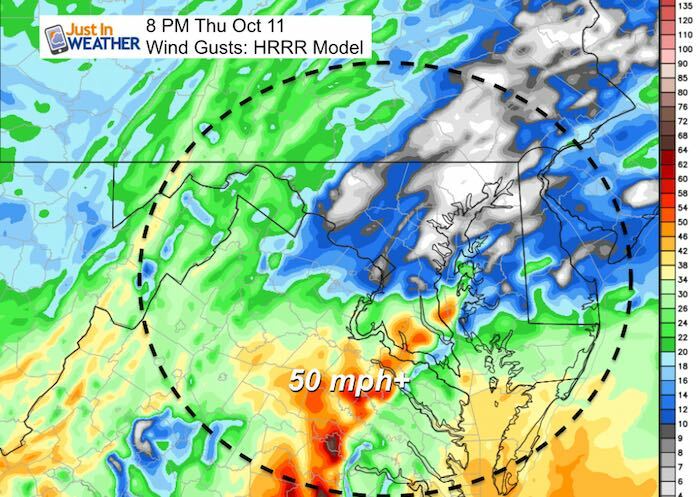 The former norther edge of Michael’s eye wall will be passing through southern Maryland. It will get rough tonight! This will also act a little like a developing Nor’Easter as the storm pulls in moisture from the Atlantic. 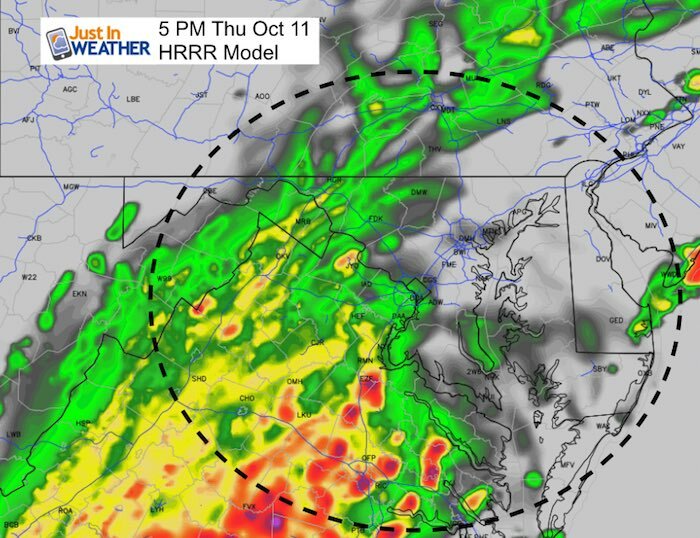 There may be a flare up or enhancement of rain after 9 PM tonight which lines up with the arrival in Southern Maryland. The best bet is that areas near and south of the Bay Bridge will have the best chance for flooding from heavy rain. 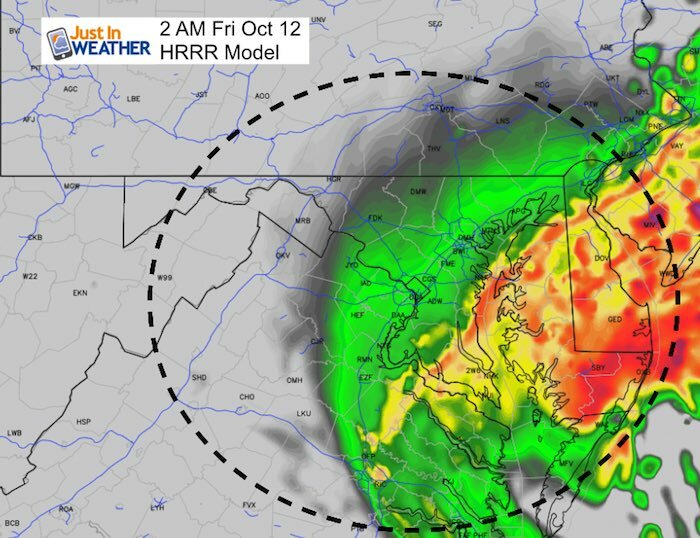 There is still a margin of error of about 50 miles that could still include Baltimore. So don’t write off the heavy rain there. The rain will be off of the coast Friday morning. Michael may gain more strength over the warmer Gulf Stream and continue to provide rough surf across the coast through the weekend. This shirt was designed by my ‘bonus’ daughter Jaiden. This is a limited edition (available in Ts, Long Sleeve, and Hoodies). 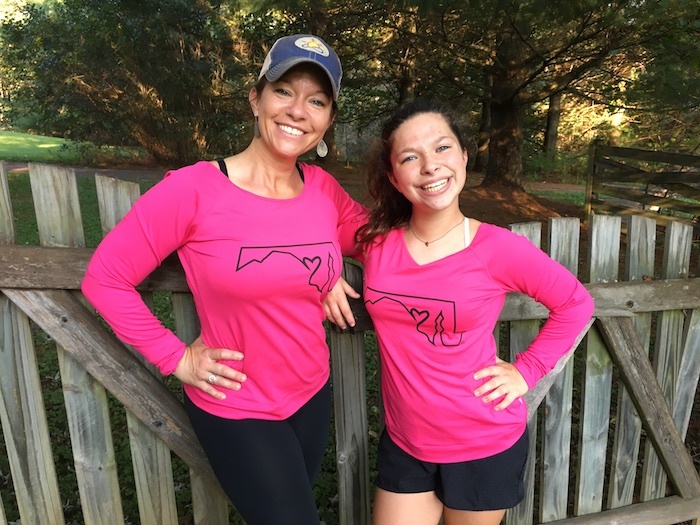 At least $5 per shirt will go to BCRF.